"Expanding Benefits Of Marketing With Video"
Video is a powerful medium that can be used to address a wide range of business challenges. While video’s use in business may start with simple marketing videos, it has the potential to do so much more. Marketing with video is unlike marketing with any other tactic, tool, technology, or channel. 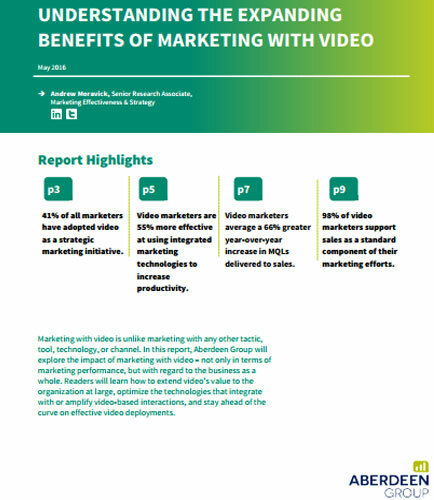 This whitepaper explores the impact of marketing with video – not only in terms of marketing performance, but with regard to the business as a whole. What is Business Intelligence System ?